As the creator of the 4Cs and International Diamond Grading System, GIA also established color grading standards and terminology specifically for colored diamonds, based on the color’s hue, tone, and saturation. Today, we identify some of the defining characteristics that help make fancy-color diamonds a true feast for the eyes. 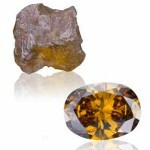 As one of the most popular gems to make the trend scene, brown diamonds summon images of luxury and pleasure with trade names like champagne”, “chocolate”, and “cognac”. 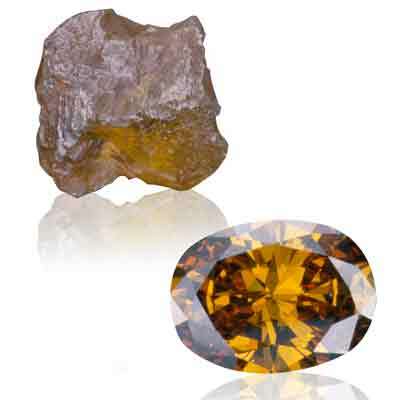 The cause of color in natural-color brown diamonds is still the subject of scientific investigations. It has been proposed that the color is caused by internal parallel grain lines in the diamond or from color centers. A color center is an atomic-level lattice defect, found in a diamond’s crystal structure, that can selectively absorb light in the visible region of the spectrum. 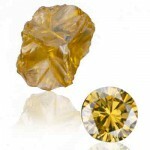 Yellow diamonds contain trace elements of nitrogen, and are also abundant.. Highly saturated yellow stones are considered to be the most desirable color. You will sometimes hear yellow diamonds referred to as “canary,” though this is not an accepted term used in grading yellow diamonds. 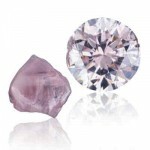 Pink diamonds can range in color from very light pink to reddish purple, including pink-purple, orangy red, purplish red, and more. The cause of color in natural-color pink diamonds is still the subject of scientific investigations. It has been proposed that their color is from graining inside the crystal or from color centers.. This can also produce red diamonds, though they are extremely rare. 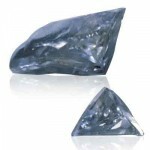 Also quite rare, blue diamonds are caused by boron impurities in the crystal – the more boron, the deeper the hue. Blue diamonds have traces of grey, so they never approach the deep saturated color of sapphires. The color green stems from radiation which displaces atoms from their normal positions in the crystal lattice. This can happen naturally by the effect of nearby radioactive rocks or when man exposes diamonds to radiation in a laboratory. The green color is usually confined to the surface, not through the entire stone. 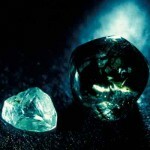 Natural green diamonds are very rare, low in saturation and somewhat greyish or brownish. 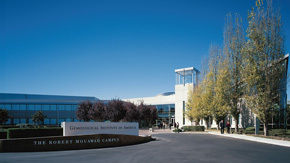 GIA has the ability to determine whether color is natural or the result of an artificial process. 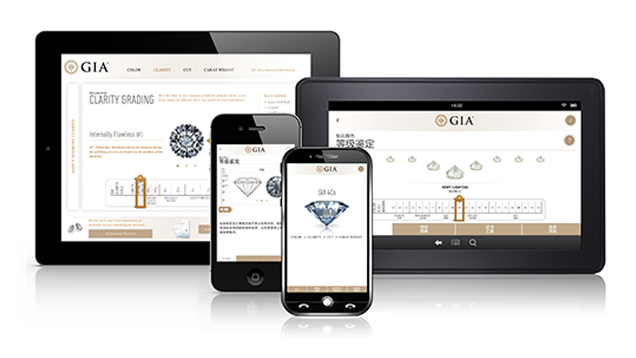 To learn more about how GIA set the benchmark for colored diamond reports, go here. Which color happens to catch your fancy?